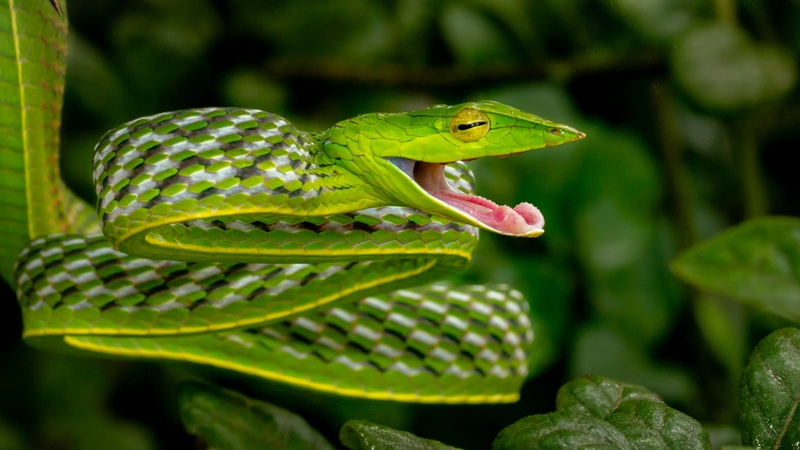 The Green Vine Snake is one of the special snakes, they have a very plain single color when they are quite and they are totally camouflage around their surrounding. However, when they get agitated, they blow their body to show the white and black pattern, which is very beautiful. As we had go into Agumbe Rainforest to find and shoot this snake, we were able to identify pretty quickly.